H3O Hydration drink to hydrate skin. Contains specific nutrients to enhance water absorption including hyaluronic acid and resveratrol super antioxidant. Should not be consumed during pregnancy or used in combination with anti-coagulants i.e warfarin or non-steroidal anti-inflammatories i.e aspiriin or if you are suffering from Lymphodema. If you have any health concerns take the advice of your healthcare provider or Doctor before you take this supplement. We talk of the body being 80% water, that might be true as a baby but as we get older it may diminish to as little as 50%, If you are thirsty, at this point you are already dehydrated by around 1 litre of water. Have you ever found that even if you do try to top up levels of water you just pee it straight out, once you are dehydrated the body thinks it’s doing the right thing by not allowing water through the stomach wall. When this happens cells can’t operate at their maximum potential and have been linked to degenerative disease. H3O is hypotonic and is of a lower concentration than blood so it allows for speedy transmission of electrolytes and minerals through the stomach wall and in to the blood stream. The lower concentration then equally allows for passage across cell walls until there is equilibrium and the cells are truly and effectively hydrated. This flow across the cell wall is helped by the electrolytes. Electrolytes play a critical role in almost every metabolic reaction in the body. Cells operate more effectively, become more healthy and able to metabolise waste when they are hydrated. - Turn on the switch to convert stored energy to active energy to encourage weight loss. Added hyaluronic acid – wonder ingredient can hold up to 1000 times it’s own weight in water, it fills the spaces in between collagen fibres and elastin, so it is the perfect addition to our formulation to give optimum results. Having the correct water balance does so much more than maintain hydration levels and to stimulate cellular activity – it maintains the right ph balance, giving a natural energy boost and great for those wanting to shed a few pounds too. H3O is the perfect partner for our hero product Collagen Shots, the amino acids within the formulation go to work to create more collagen in the body and strengthen cell walls to allow cells to become more hydrated. 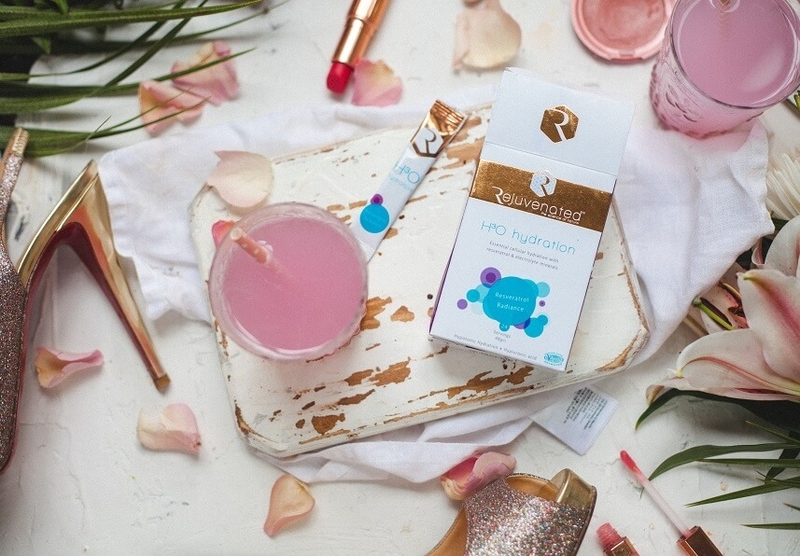 H3O makes hydration available to the cells so they can work at optimum levels for super soft plump skin. Hyaluronic Acid: Hyaluronic acid (HA)has often been called the fountain of youth, it can hold up to 1000 times its own weight in water and provides a cushion filler between the cells. Scientific studies have shown that Hyaluronic acid improves skin hydration and helps to stimulate the production of collagen. It has several other key properties, playing a key part in joint health, supporting the vitreous fluid in the eyes and helping in the reduction gum disease.